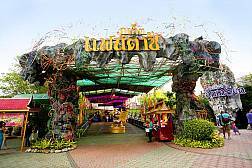 For quite some time, Phuket FantaSea at Kamala Beach has been known as the Number 1 Phuket attraction. This spectacular theme park has shows and fairground attractions that will make the kids love you forever. There is not another place like this in Thailand, so don't miss out. 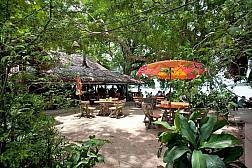 Dine directly on the beachfront at Nakita's Restaurant in Rawai. Feel the waves crashing against the rocks just meters away. 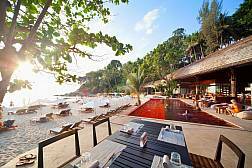 Not only is this the perfect location, but it's also one of the best Phuket restaurants. 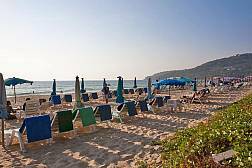 Kamala Beach is perched between Patong and Surin on the west coast of the island and is more of a laid back Phuket beach experience away from the tourist masses. 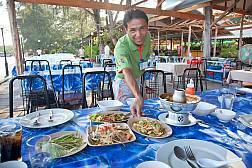 Friendship Beach Restaurant in Phuket is situated on the road from Chalong to Rawai and overlooks Chalong Bay. 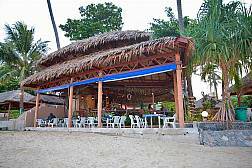 This is easily one of the best beachside restaurants in Phuket with great food, amazing views and a vast drinks list. If you like your seafood affordable and fresh while enjoying a sea-view, Phong Phang Seafood Restaurant is the one. 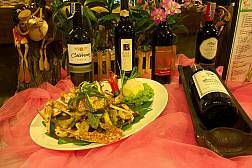 Located in Chalong near Phuket Zoo at Palai, this restaurant never fails to deliver. Secret Cliff Restaurant in Phuket is tucked away on the hill between Patong Beach and Karon Beach. Home to sumptuous Thai cuisine and majestic sea-views, you won't find a better spot for a romantic dinner on the island. 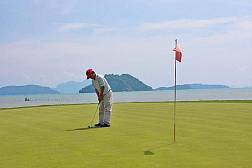 If you are looking for one of the best value for money golf courses in Phuket, the Phuket Country Club Golf Club in Kathu is right up there. 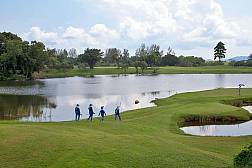 Enjoy 27 holes of golfing fun across two interesting courses that are ideal for golfers of any level. Blue Canyon Country Club in Phuket is the island's premier golf course, played by legends such as Tiger Woods and Fred Couples. If you want to play one of the finest courses in Asia, this is your big opportunity. Kata Temple is one of the most popular temples in Phuket. Take your time to view this well maintained Buddhist temple at your own time and pace. 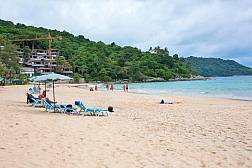 Laem Singh Beach is one of Phuket's hidden gems, located between Kamala and Surin, popular with those who want to see real Phuket. 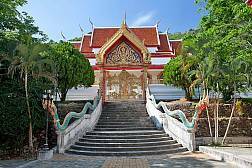 Patong Temple is situated in the most popular holiday destination in Phuket at Patong Beach. 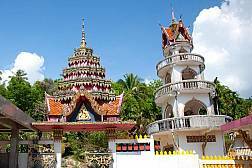 If you are interested in culture and religion, you will enjoy a tour around Patong Temple. If you don't go to any other temple in Phuket, you really do need to visit the beautiful Chalong Temple. This is the island's largest and most popular temple, and when you get there, you will see why. Surin Beach is very beautiful, no doubt. 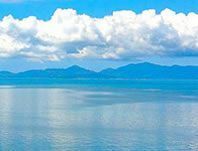 Located on the sunset west coast of Phuket between Kamala and Bang Tao, Surin is surrounded by millionaire villas, and the beach is very scenic and much more laidback than Patong Beach. 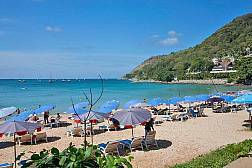 Widely known as one of the best beaches in Phuket, Nai Harn Beach, situated on the south-western Phuket coastline, is very beautiful. It can also be quite laid back, which is surprising considering how well known it is. 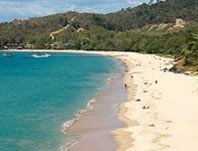 Although Rawai Beach isn't known for its amazing scenery and fluffy white sands, this beach is located on the southernmost tip of Phuket Island, famous for its amazing value for money seafood served directly on the beach. 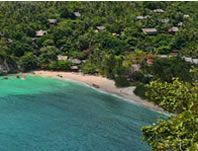 Located on the west coast of Phuket, within close proximity to Kata Beach, Kata Noi Beach is famous for its quaint beauty and peaceful environment. 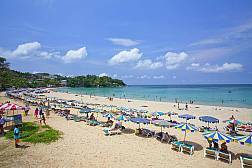 Relaxing in the summer season and surfing in the winter months is what Kata Beach is all about. 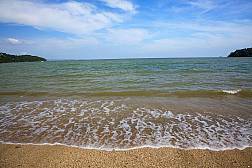 As one of the most scenic beaches in Phuket and ideal for families, this is a beach that suits all. 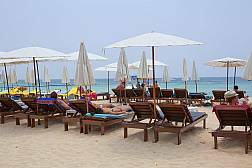 Karon Beach is one of the longest and most uncrowded in Phuket. 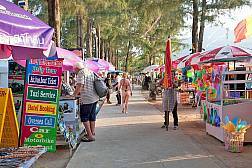 The village of Karon is also very popular with holidaymakers and is one of the most friendly places you will find on Phuket Island. This is one of the most unique Phuket attractions, that's for sure! 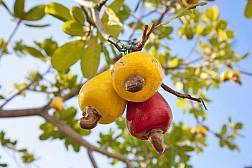 Take a guided tour around the Phuket Cashew Nut Factory and see how they are produced from growing them to selling them! 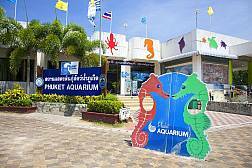 Phuket Aquarium at Cape Panwa is the only aquarium on Phuket Island. 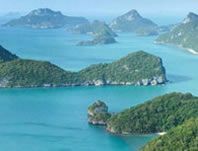 Fortunately, it's an amazing place to see some Phuket marine life. This is a great family attraction so make sure you take the family along. 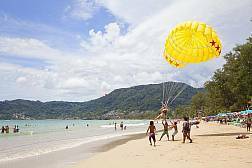 Adrenalin junkies will be glad to hear Phuket has its own extreme sport scene. 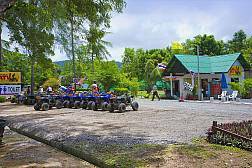 Phuket ATV is the best place to enjoy a high-octane all terrain vehicle experience. Fasten your seat belts and get ready for blastoff. 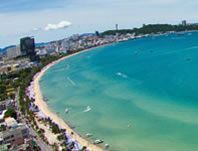 Patong is Phuket's most visited and popular beachside destination. Home to Bangla Road,the beach, hundreds of bars, restaurants and massage establishment, this is the ultimate Thailand holiday destination. 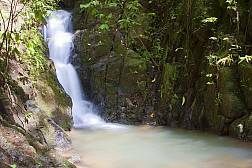 There are not as many waterfalls in Phuket as one might imagine. 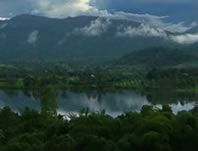 Bangpae is known as the largest and is located in a dense jungle area north of Phuket Town in Thalang. 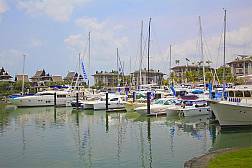 Royal Phuket Marina really has it all. Some of the most high class 5-star apartments are situated in RPM, and also some fine restaurants alongside a fitness center and spa. RPM is not just a marina, but also a great social gathering spot. 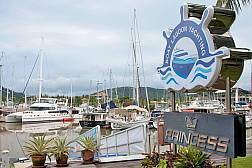 Boat Lagoon Marina Phuket is not as well known as Royal Phuket Marina, however, it does have a more quaint atmosphere and very affordable real estate options. There are also a few quality restaurants in the marina so it's always a nice place to visit, especially to boat watch. 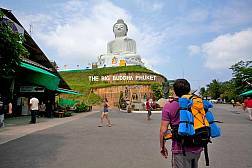 Big Buddha Mountain in Phuket has already become a bit of a legend. 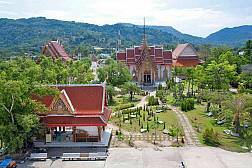 Perched atop a mountain, the tall monument can be seen from many parts of Southern Phuket. You really need to make a sacred pilgrimage when visiting the island. 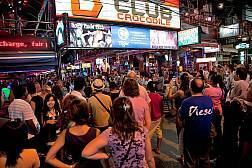 Bangla Road in Phuket is easily the most exciting entertainment area on the island. Located in the center of Patong, here you will find bars, discos and lots of restaurants. At night, you won't find a more fun place in Phuket. Those who enjoy a bit of history or Sino-Portuguese architecture really need to visit Phuket Old Town. As old as the island's inhabitants, the town has some of the most inspiring architecture in the south of Thailand. 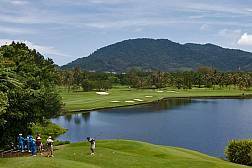 Phunaka Golf Course in Phuket is located in Chalong and is the newest course on the island. Also known for having floodlights and night golf, the course stands in the shadow of Big Buddha and is very fun to play. 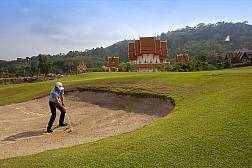 Phuket Mission Hills Golf Course is one of those Phuket golf options you have to try. Mission Hills is a well known name in the world golf tour industry so you already know you will get great value for your money. 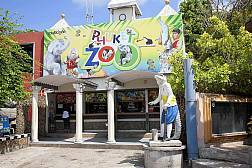 If you are in Phuket with the family, a trip to Phuket Zoo makes for an enjoyable experience. Located in Chalong, not too far from the Palai seafood restaurants, Phuket Zoo has a great variety of animals, birds and insects and some great shows, especially the elephant show. 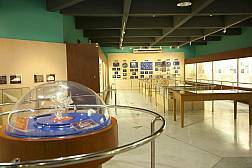 If you have a real interest in marine life, Phuket Seashell Museum will be a real treat. The museum is located near to Rawai Beach and makes for a nice couple of hours doing something different. 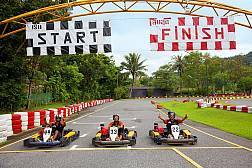 If you are looking for Phuket adventure activities, Phuket Racing Kart at Chalong is a good choice. Blast around the purpose-built track and race against your friends. One thing is for sure - you will have an amazing hour or two. 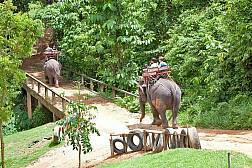 Elephant Trekking in Phuket is one of those Phuket activities that every tourist to the island tries at some point. 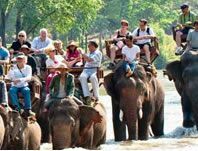 With Phuket's dense jungle laden environment, this is the perfect opportunity for elephant trekking in Thailand. 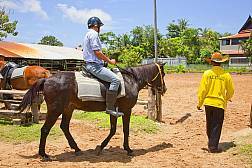 The Phuket Horse Riding Club in Rawai is one of the island's most popular activities. 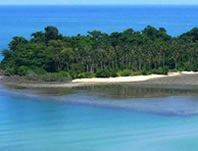 Trek on the beach or within beautiful jungle environments in the hands of trained horse riding experts. 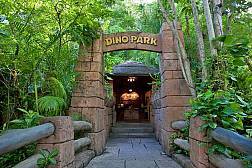 Phuket Dino Park Mini-Golf is located at Kata, and is the kind of place the family can enjoy some wholesome fun. Based on the theme of dinosaurs, you won't believe the detail that has gone into making this crazy golf course in Phuket so authentic. 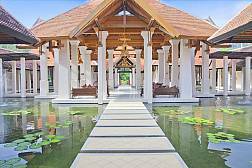 Sukko Spa in Phuket is one of the finest spas on the island. Located on the outskirts of Phuket Town on the way from Chalong, immerse yourself in total relaxation with some of the best therapeutic treatments. 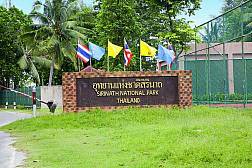 Wildlife and natural scenery lovers will adore Sirinat National Park Phuket. Named after the Queen of Thailand, and being the largest natural habitat on the island, ensures you will be in your element when visiting this beautiful national park. Do you want to learn the ancient art of Muay Thai Boxing in Phuket? The Sinbi Thai Boxing Gym in Rawai is a place you can go to learn the basics or expert elements of Muay Thai Boxing. The Simon Cabaret Ladyboy Show in Phuket is well known as one of the best ladyboy extravaganzas in Thailand. No expense has been spared on the costumes and props. 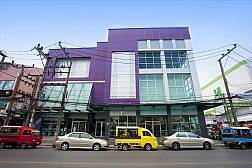 The theater is located in Patong, and is one of those venues that all holidaymakers visit at least once. Located at the West Sands Resort at Mai Khao, Splash Jungle Water Park in Phuket is the most essential family attraction the island has to offer. Enjoy the thrills and spills of these high-octane water slides. Robinson's Shopping Center in Phuket Town is one of the oldest and earliest built shopping centers in Phuket. 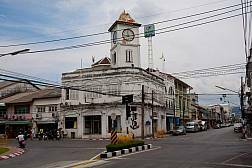 If you are staying near Phuket Town, you will probably visit the shopping mall for stocks. If you are seeking out the ultimate Muay Thai Boxing experience in Phuket, the Patong Boxing Stadium is the best choice for tourists. 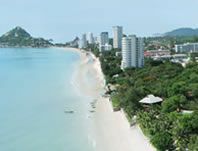 Cape Panwa is an idyllic beachside destination on the eastern coastline of Phuket, overlooking Chalong Bay and within close proximity to Phuket Town. 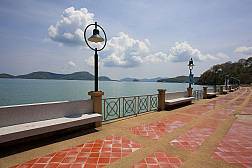 Chalong Bay and Pier are located on Phuket's eastern coast, basking in the backdrop of a beautiful bay. 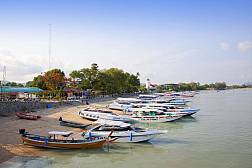 Here you will find many boat tours and also a great selection of bars and restaurants. The Aphrodite Cabaret Show in Phuket is very similar to the Simon Cabaret Shows on the island with a large cast and extravagant costumes and performances. The Phuket Heroine's Monument at Thalang is a symbolic image that celebrates one of Phuket's most historical stories regarding two sisters who helped to galvanize the local Phuket people to fend off a Burmese invasion. 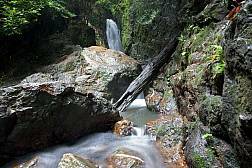 Khao Phra Thaeo National Park in Phuket is located in the north of the island over a vast 22sqkm of virgin forests with some of the most beautiful wildlife imaginable. 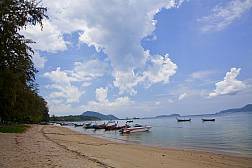 Koh Sirey is a small island just off Phuket, and a great place to get away for that peaceful and idyllic holiday or excursion. This is a great chance for a memorable trip with the family. 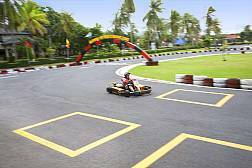 Patong Go Kart Speedway is the place you go when you really feel the need for speed. The purpose-built tracks and a variety of cars are just the ticket for adrenaline junkies. 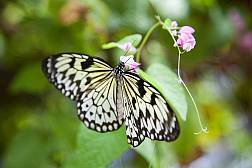 Phuket Butterfly Garden & Insect World is located at Phuket Town, perfect for nature lovers and families looking to enjoy a nice few hours together on holiday. 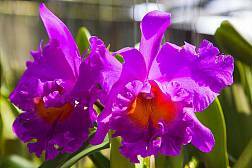 If you love flowers, the Phuket Orchid Garden and Thai village is a place you must visit. Located near to Phuket Town, the gardens are a great place for an interesting afternoon. 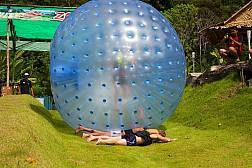 Rollerball Zorbing Phuket is a fun way to pass away an afternoon. People of all ages are invited to roll down a grassy hill in a huge inflatable ball at breakneck speeds. Sounds like fun to me! 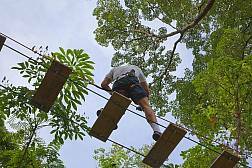 If you are seeking out extreme sporting adventures in Phuket, Xtream Adventure Phuket, located in Chalong, is the safest and most exciting establishment on the island. 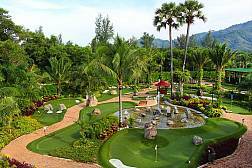 If you love mini-golf, Phuket Adventure Mini-Golf is as good as any right across Thailand. 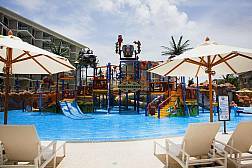 Located in Bang Tao, this is the ultimate family fun experience. 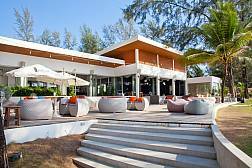 Bliss Beach Club blends elegant, sophisticated service with the gorgeous atmosphere of Bang Tao Beach. It’s the perfect place to sunbathe, lounge, or watch the sunset with a signature cocktail and dance the night away. 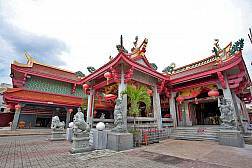 The oldest and most famous of the Chinese Temples in Phuket is Pud Jor Temple (aka Put Jaw Temple) and Jui Tui Shrine in Phuket Town. You can admire the intricate carvings, soak in the peaceful atmosphere, and even have your fortune told. Cool tunes, hot DJ’s, delicious dishes and drinks galore. Throw in a wonderful indoor area and a beachfront setting which has relaxation written all over it, and you have The Zazada Beach Club.